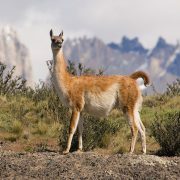 Guest blog by full-time mom and travel lover Diana Smith showcases six destinations with truly incredible wildlife. As she describes, “wild animals are truly majestic creatures. However, they are majestic only when they are free and allowed to live their lives in their natural habitat. The only way to witness their majesty is to visit them in their homes. You will be rewarded with a truly amazing experience and a holiday you will remember for the rest of your life.” Diana outlines a few of the best holiday destinations that will allow you to marry your love for animals and your love for traveling. This past weekend, I helped organize world traveller, author, and good friend Savannah Grace’s bachelorette party. I was honored to be a part of the celebration as she enjoys her last days of singlehood. Savannah is originally from Vancouver, Canada, but has been living in the Netherlands for the past 7.5 years. Combined with the fact she’s already been to 108 countries, we decided to put together a different type of bachelorette party: a road trip. 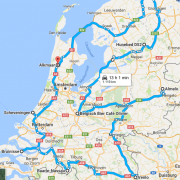 Over the course of the weekend, we covered 1120 kilometers (696 miles) and visited all 12 Dutch provinces. Seven women from five different countries piled into one van. Our goal was to travel around the Netherlands and experience typical Dutch things, as well as complete a scavenger hunt and play games together. Read more about our weekend escape! Friday evening I attended a memorial service for Peter Waltz, one of the owners featured in my book, Flavors of Life. Peter passed away on September 15, 2016. Peter had been courageously battling cancer for the last two-plus years. I know he is now at peace and free from pain, but it is incredibly sad when someone is taken from this world at such a young age. 44 years old. My heart goes out to Blaine and Peter’s family; my sincerest condolences. I didn’t know Peter that long, but I felt like we knew each other forever. I had this special connection with them; they welcomed me with open arms. I feel so incredibly honored I was able to tell Peter and Blaine’s story. I consider myself lucky to have met this kind and caring man. Peter touched so many lives, in countless ways, and he has impacted mine, as well. 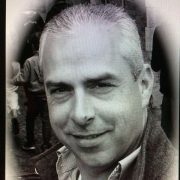 Peter, you will always be remembered, and you will always be with us. Rest in peace. 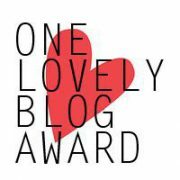 Thank you to Hannah Henderson for the One Lovely Blog Award. Read on to find out what this award means, as well as learn seven interesting facts about me, Jessica Lipowski. Bali, Indonesia is a place that has been on my mind for quite a while. In a way, you can say I’ve been dreaming of Bali. I am excited to share this guest post by travel enthusiast and lifestyle consultant Roxana Oliver. Roxana outlines six reasons why you should make Bali your next holiday destination. She says the exotic weather along with laidback atmosphere, friendly locals who will teach you their down-to-earth lifestyle, delicious food and incredibly interesting culture will make you fall in love with the place instantly. Also, the magical appeal of Bali is what makes people forget all about their troubles when they see the picturesque gem of the Pacific Ocean. Read on! Last week I was sitting along the Amstel river, and I saw a group of girls jump in the water. I thought to myself – a fleeting moment I experienced many times before – I’d never done that. That sparked an idea. Amsterdam is an amazing city, home to some internationally-renowned attractions and unique experiences. Even though I’ve been living here for five years, I’m going to create a bucket list (although I prefer the term wander list) of all the musts in Amsterdam. This is a great list to use (I warn you – it is long), whether you are living in the city or are just visiting for a few days. This city swept me off my feet, and I know you’ll love it, too. What’s on your Amsterdam list? Savannah Grace, her mom Maggie, “sister-in-law” Anita, and I set off on a one-day road trip adventure with a single goal: to visit five countries. How did we manage to visit the Netherlands, Germany, Luxembourg, France, and Belgium in less than 24 hours? What was the occasion? Read the entire story! I bike in and around Amsterdam all the time. After many years of living in the Dutch capital, I feel like I blend right in with the locals. 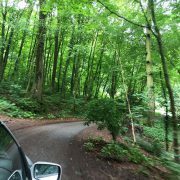 I’m usually so focused on getting to my destination as quickly as possible, I often forget to look around and admire my surroundings. 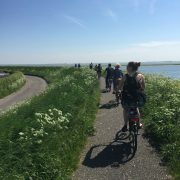 In mid-May, my partner, Matthijs, and I had the opportunity to take a half-day excursion with We Bike Amsterdam. The company offers two different routes: one through Amsterdam’s city center and the other through the Dutch countryside. Considering I had never toured the north side of Amsterdam and its surrounding villages, I thought that would be a fun trip. Read about our experience! 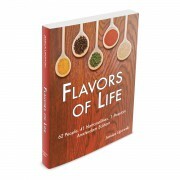 It’s official – Flavors of Life is out in the world! On the evening of Monday, May 23, I held a book launch event at Café Belcampo in Amsterdam. Café Belcampo, situated in De Hallen, is the official café of the library in Amsterdam West. The owner, Gary Feingold, is one of the people featured in the book. The event drew a variety of people, including owners featured in Flavors of Life, family from near and far, friends, media, and bloggers. Thank you to everyone who joined me for this once-in-a-lifetime celebration! It is something I will remember for the rest of my life. Read more about the event here. The big day is quickly approaching! If you haven’t already, please put Tuesday, May 24th in your calendar. 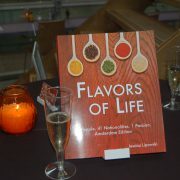 Flavors of Life (ISBN: 978-90-825238-0-5) will officially be available, both in paperback (€22,95) and as an e-book (€4,99). You can reserve your copy ahead of time for a limited time at the special price of €19,95! Don’t miss out. Looking forward to this exciting time ahead. Thank you so much for sharing it with me.